Could It Be Adsense Has Been Disabled On My Domain? This was one of the first question that came to my mind but i really had my doubt on this because i never received any mail, notification or warning triggering my awareness concerning Adsense team on my neck. So i had to check my spam box to verify that i had'nt lost any important mail from the Google adsense team because i have not been banned all through the period i opted in for the Google Adsense program. Has My Adsense Account Been Tampered With? Is strange but you got to believe it is obvious that a third party might have tampered with you settings. Since you have heard about accounts been hacked and so forth, it is almost possible for someone to have gotten access to your Password and tampered with my settings. I carefully checked through all the sites i had enabled my adsense ads on, to confirm if i will be able to get to the root of the matter. This was indeed a lengthy way to discover if i was no longer considered eligible for the Google adsense program, so i had to make the change by seeking to know the cause via a more professional manner. It was actually the Adsense Sandbox. You may want to know about the adsense sandbox or not, but in any way you seek to find out if ads has been disabled on your domain, then the adsense sandbox is a good alternative to the whole stressful procedures of finding out. The google Adsense sandbox is a website that shows you if adsense ads has been disabled on your domain or not. Like you can get to run your site url on the url box to confirm if you are fit to run any ads on the domain you just proof checked. If ads appeared on your search result, then your site is fit for the google adsense program but if the reverse is the case, then it is obvious you got the other side of the door. To confirm if ads can be implemented on a domain, simply visit the Adsense Sandbox to confirm today. 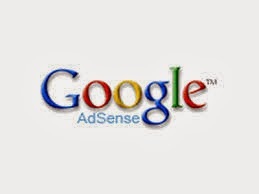 Have you been battling to own a Google Adsense account for the past months, then keep your fingers crossed as i pave you through how i was able to secure a Google adsense account within the space of One month. That should be our next topic on Techmaga.com. Tell me what you think about this post via the use of the comment box below this post. I love reading your comments, so keep it coming faster. Nice resource for checking the domain if its disabled for ad serving. Thanks for stopping by. Really read your comments in one of my articles and was happy you did left one. Your post is really helpfull for me, I go to Adsense Sandbox and place my URL, if ads does not show, its mean ads are disable on my domain hosting? Yes Kamran. Thanks for stopping by and do enjoy the rest of your day.